Ballpoint Bead Embroidery needles in bulk quantities of 1000 loose needles wrapped in black paper. 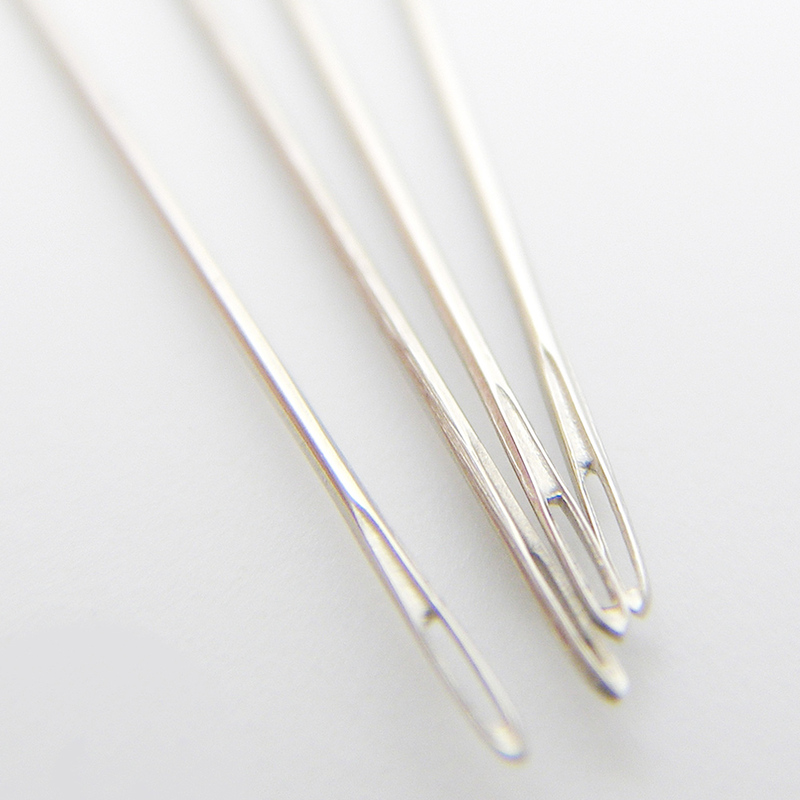 Ball Point embroidery needles are a short sewing needle and they have the same diameter as an embroidery needle but they have a rounded point. Ball point needles enable the user to embellish pieces of cross stitch or tapestry with beads, sequins and pearls without splitting the fibres of the base canvas.